With Radiojar, your radio station's media library is shared with all your DJs, allowing them instant access to all the latest ads & jingles as well as any tracks you might want to promote. 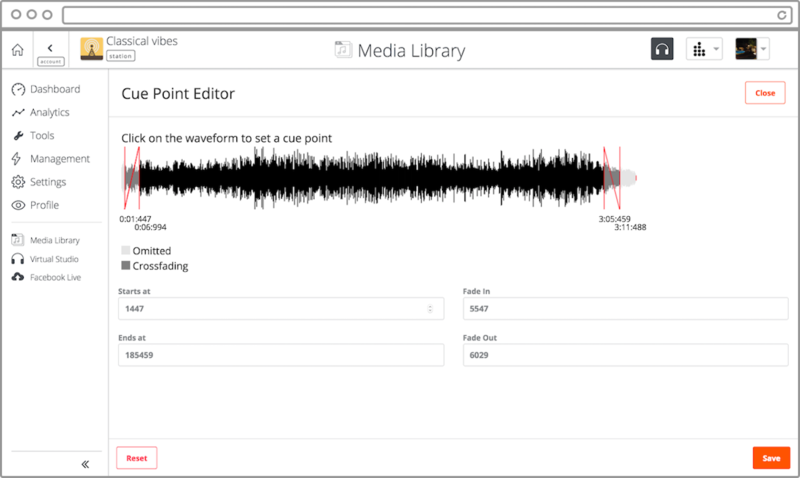 Our media library provides comprehensive tools for media management including advanced searching, unlimited tagging, and batch metadata editing. 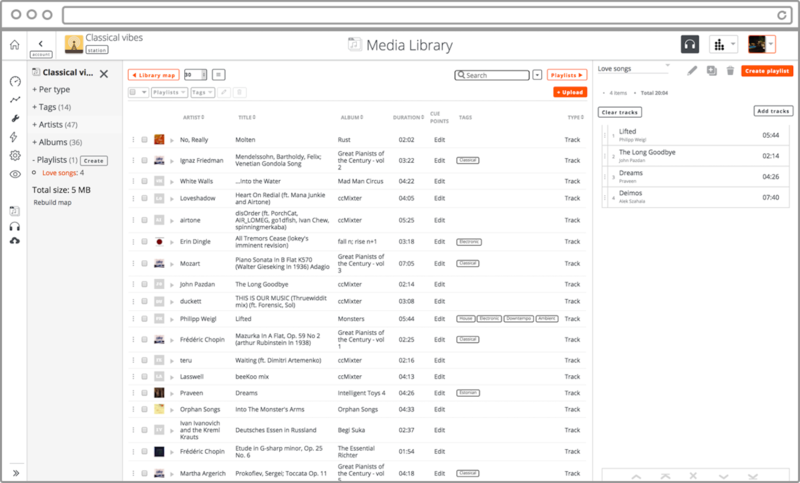 Radiojar's Media Library allows you to organise the media you use on your radio station. All DJs have their private library and access to the library of the radio station they're playing for. This means you can easily upload and distribute to everyone your new jingles, or the tracks you want to promote. Use the tracks in your media library to feed Radiojar's powerfull Web Automation features. Edit metadata for multiple tracks at once. Use whatever tags you want to organise your music collection. Tags can be reused to create powerful Pilots. Create and edit your playlists easily here and access them in the Virtual Studio. Edit the ID3 tags of your files, including the record cover, from our web inbterface. Upload music in seconds, directly from your Dropbox account. Set cue in and cue out points for each and every track. Edit album, artist and track info. Add new playlists on the fly, handle your existing ones efficiently. Add tracks from your PC, your Dropbox account or via FTP.